You are warmly invited to join us as we celebrate the greatest event in the whole of human history, the death and resurrection of Jesus Christ! 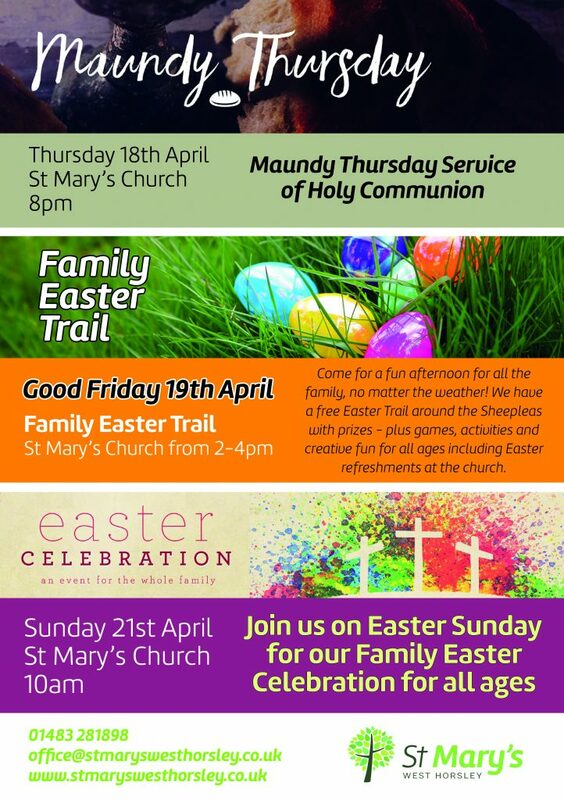 We have something for everyone with our services and events at St Mary’s, plus each evening of Holy Week (the week running up to Easter day) there are a number of events happening at each of the Churches in the Horsley and Ockham Group Ministry. 10.30am Easter Day Holy Communion Service, All Saints Ockham.